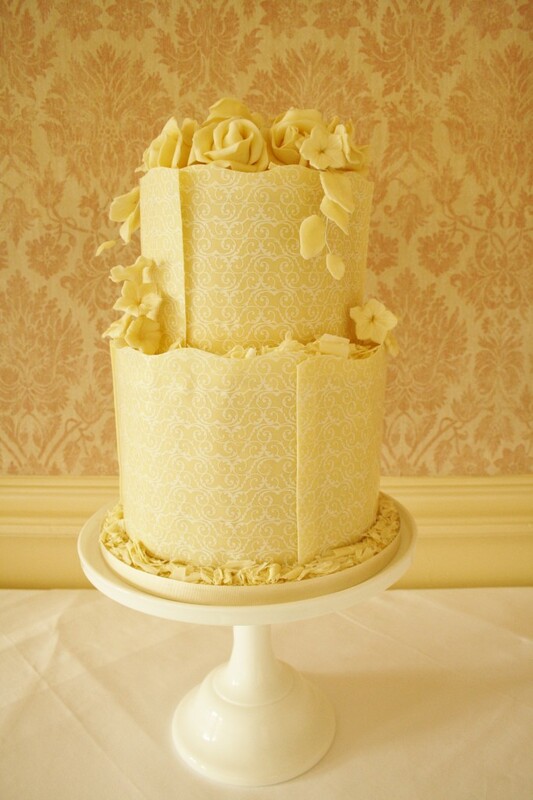 Two Tier Wedding Cake at Horsted Place, Uckfield, East Sussex. 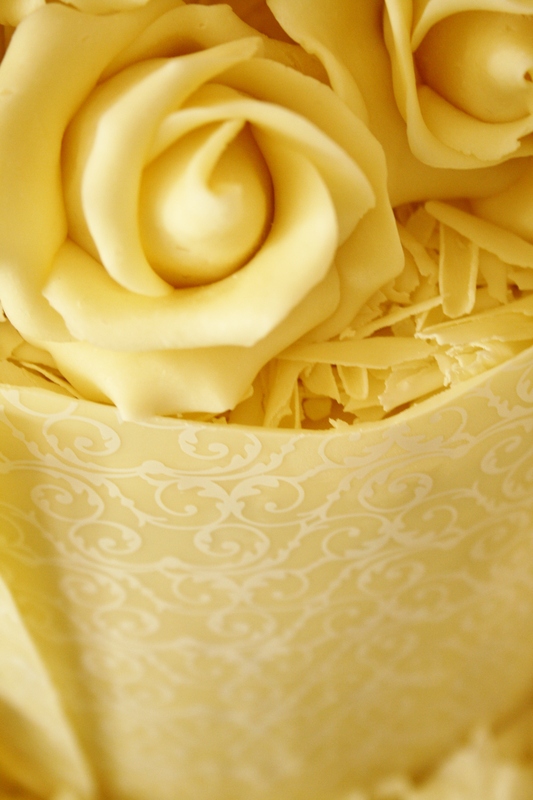 Wrapped in White Belgian Couverture Chocolate finished with chocolate hand moulded Roses, Petunias, Blossoms and foliage with white chocolate shards. Bottom tier Dark Belgian Chocolate sponge with whipped ganache filling, top tier Vanilla sponge with White chocolate ganache filling and Chambord soaked raspberry whipped buttercream. Cake serves 70 finger portions.